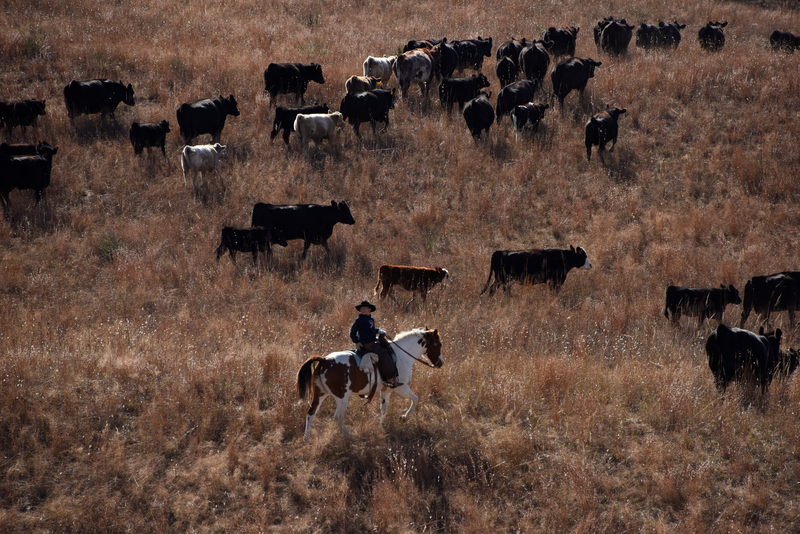 Ranching plays an important role in fostering conservation and sustainability in the Sandhills. Wise management practices maintain and protect rangeland vegetation while preserving the historic role of grazers in the prairie ecosystem. Sandhills’ vegetation co-evolved with large grazing herbivores like the American bison, deer, elk, and pronghorn antelope. Two hundred years ago, some 30-60 million bison roamed the Great Plains of North America. Lewis and Clark described the herd as a vast, black carpet—a “moving multitude,” which “darkened the whole plains.” The growing demand for buffalo hides and the arrival of the railroad in the nineteenth century decimated the species. From The Beef Bonanza (1881) by Gen. James S. Brisbin. At the time, white settlers regarded the Sandhills as a “no man’s land.” The grass-covered dunes lacked landmarks, and water resources were believed to be scarce. Tales of lost men and livestock were enough to deter speculators. By the late 1860s, however, the cattle industry pushed into the relatively unknown region in search of additional grazing land for their growing herds. Speculators from Texas soon discovered that the Sandhills promised free range on public domain land, low overhead, and sizeable returns. 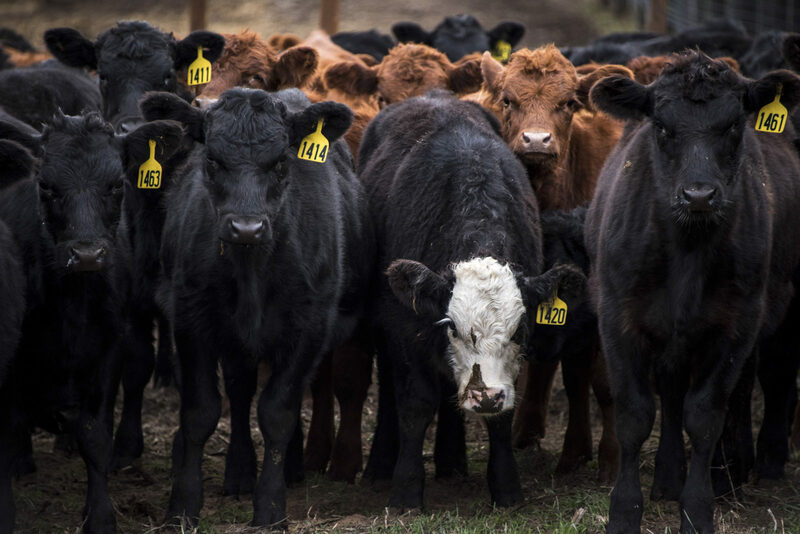 After barbed wire had been invented in DeKalb, Illinois, big cattle companies began enclosing the range around their ranches, saving even more money by hiring fewer cowboys. But the promise of quick profits led many early cattlemen to overstock the Sandhills, overgrazing the once lush prairie. 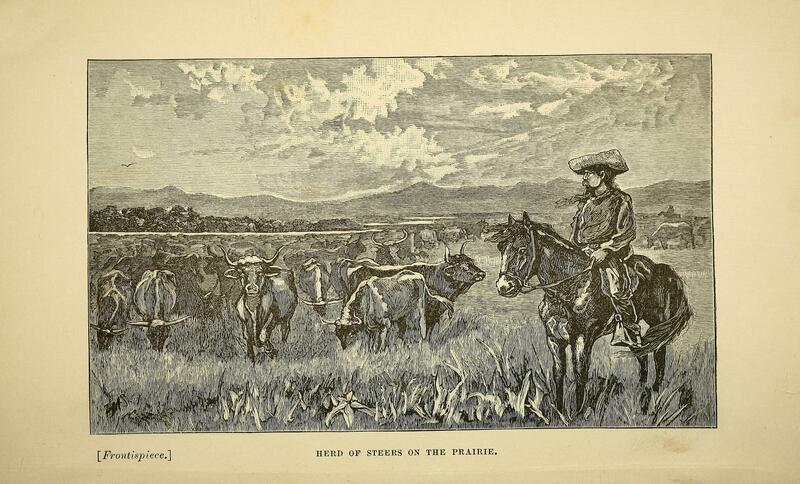 In the 1880s, drought further devastated the Great Plains, and two severe winters killed whole herds of cattle that could not survive without adequate forage. 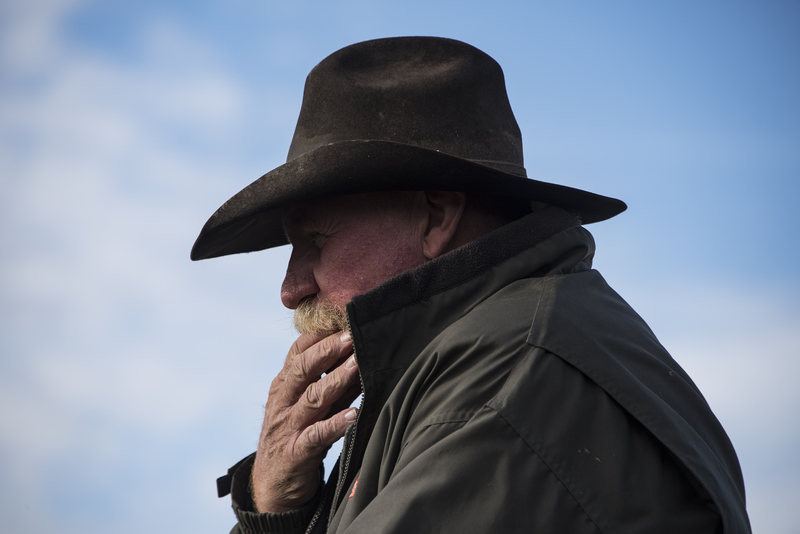 In Nebraska, blizzards buried thousands of cattle under snow drifted along fence lines. In 1885, the federal courts ruled that it was illegal to fence public land, and incoming settlers were allowed to remove the fencing. The “beef bonanza” had come to an abrupt end. It wasn’t until the passage of the Kinkaid Act in 1904, which allowed land claims of 640 acres, that a large number of homesteaders returned to the region to raise their cattle. Sue Ann Switzer’s grandfather and his brother were among the first Kinkaiders. Within a few years, Nebraska’s Sandhills counties nearly doubled in population, and the public lands were soon sectioned off into private land holdings. Barbed-wire fences now protected private land and ranchers used the fences to control grazing and better manage rangeland for wintering livestock. It would be a short-lived boom, however, as a severe drought in the 1930s forced many Kinkaiders to abandon their small ranching operations. Those who remained had to adapt their rangeland management practices to the unique ecology of the Sandhills. If they were going to raise cattle in the Sandhills successfully, they would need to maintain the health and diversity of the grassland ecosystem. A year on the Switzer Ranch begins in the spring when the newborn calves arrive. Most of the calves are born in March and April and are branded in May. Before the calves and their mothers can be put out to feed on the grass, the Switzers build and repair fence for a couple of weeks to help them manage the herd. By mid-May or early-June, the pastures are ready for the calves and their mothers to begin grazing. The cows and calves stay on the grass for about 150 days. They are then brought back to the ranch so that the calves can be weaned from their mothers, and then they graze until they reach about 700 pounds. In July and August, the Switzers grow and harvest hay to put up for winter.  The Switzers must also manage water resources to grow hay that is used in combination with distillers grain. Sub-irrigated meadows provide enough groundwater, which is at or near the surface, to grow hay. They also have a center pivot on a drier meadow so that they can increase hay production as their herd grows. Watch seasonal changes at Shoemaker Lake, a Sandhills lake watered both by springs and by precipitation on the Switzer Ranch. Ranching in the Sandhills is challenging and requires determination to care for the land for the benefit of future generations. Changes in climate can devastate the prairie vegetation on which the cattle depend, or an unpredictable weather event, like tornados, can wipe out a whole herd of cattle. 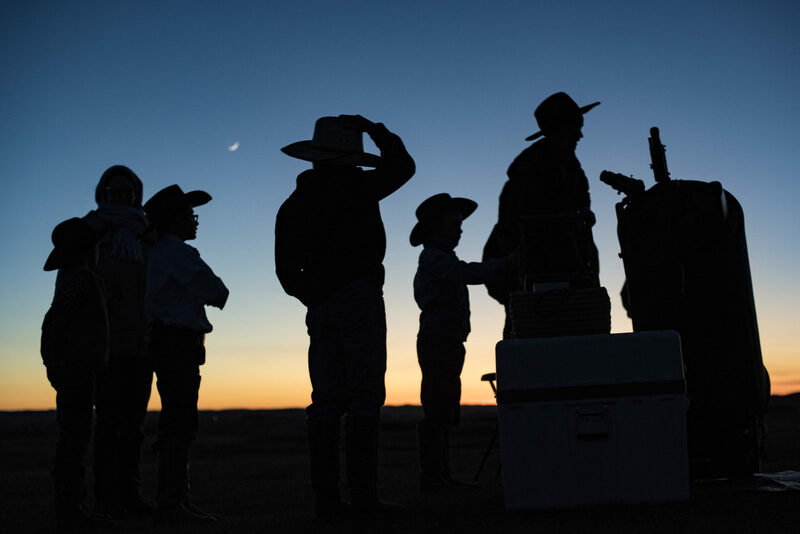 A ranching family must be prepared to respond to immediate changes as well as changes that happen over a long period of time. One wrong decision or a prolonged drought can lead to less income, overgrazed land, or even a loss of habitat if the sand dunes begin to move again.